Think water borne diseases and what usually comes to mind is diarrhoea and other gastro enteric diseases. Seldom do we relate the gouged out flesh between toes and fungal infections which follow to the ravages of a water borne affection which infects lakhs of our farmers and others, who spend days working in watery conditions. To provide relief to the intolerable itching and pain, the North East Institute of Science and Technology here has come up with an ointment which not only effectively treats the infection but heals the broken skin. If required the ointment will be supplied in large quantities free of cost by CSIR-NEIST to those who are affected especially during the annual floods in the State. 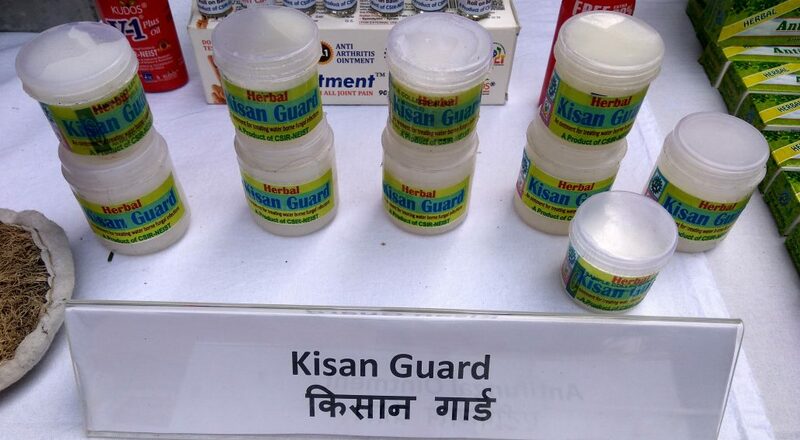 Mantu Bhuyan, senior scientist, Aromatic and medicinal division of CSIR-NEIST said that the ointment named Kisan Guard, which was totally herbal was launched in Majuli last year on a trial basis. “During the sowing of Sali paddy, our farmers spend more than a month working in knee deep water in the fields. Majuli is also flooded during the rainy season and people have to make their way through puddles and watery patches. They are often affected by fungal infections which may result in Athletes foot,” Bhuyan said. In fact in Assam during the rainy season there is large scale incidence of such infections apart from the occupational exposure hazards of farmers and people retrieving wet sand from the banks of the Brahmaputra and other rivers. Bhuyan said that the feedback received was very good. Pradeep Das, a physician based in Majuli who also runs an NGO, Majuli Seva Samiti said that he had distributed several tubes of the ointment to people who had been suffering from fungal infections and had found that they got cured. “I had several people asking me for more. They told me that this was better than a similar ointment supplied by the government from time to time especially during the annual floods, “he said over phone from Majuli. The cream had to be applied prior to going into the waters and once again during the night before going to bed. NEIST director D Ramaiah said that the Institute was in position to supply in large scale, free of cost, if the need arose as part of its societal obligation. “This cream and another one for protection of domestic animals from fungal infections work wonders and we are ready to market them as well,” he said. Jatin Kalita, head of Research Training and Business development, NEIST said that the technology for preparing Kisan Guard was in readiness for the past eight months or so but was yet to be transferred for commercial production. He further said that about 1000 tubes of the anti fungal ointment for cows and buffaloes had also been sought by the Veterinary department at Kakajan in Jorhat district. The letter seeking the same had reached them yesterday. The team of scientists who had produced the ointment included Bhuyan, Sanjay Chanda, PR Bhattacharyya (retired) and resident doctor PK Baruah.